When it was learned late last year that Tokyo was in the running to host the summer Olympics in 2020, Olympic gold medalist Billy Mills was excited. 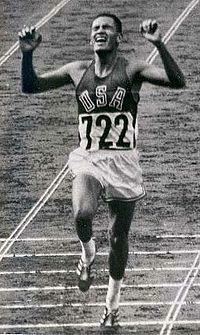 Mills won a gold medal in the 1964 Tokyo Olympics. Mills, a member of the Ogalala Lakota Nation, remains the only American to win gold in the 10,000 meters track event, and his race was one of those historic upsets for the record books. In 1964 Mills was an unknown, a Marine, and not favored to win the grueling event. But Mills defied the odds. In the last moments of that historic race, Australian world record holder Ron Clarke famously shoved Mills to the side, leaving room for Tunisian distance runner Mohammed Gammoudi to briefly claim the lead. But with the finish line in sight, Mills came from behind and on the outside to win the race and claim the gold medal for his country – the first American to do so. 2014 marks fifty years since Mill’s victory in Tokyo, but the memories of those final moments on that track remain fresh in his mind. “Ron Clarke, shortly after the race made a comment to the newspapers that every once in a while, someone runs as if they have wings on their feet. I always felt that that moment was a gift to me,” said Mills. Mills, at 75, keeps a busy speaking schedule and works for his organization Running Strong For American Indian Youth. Due to a downhill skiing accident, Mills no longer runs, but he keeps active. One year before the 1964 Olympic Games, Mills was diagnosed as hypoglycemic and border-line diabetic. “There's no such thing as borderline diabetic so I'm hypoglycemic low blood sugar and I'm a type 2 diabetic. But most doctors tell me I'm not diabetic because of exercise, nutrition,” said Mills. “Basically it’s in remission. I'm in to a quality lifestyle,” said Mills. 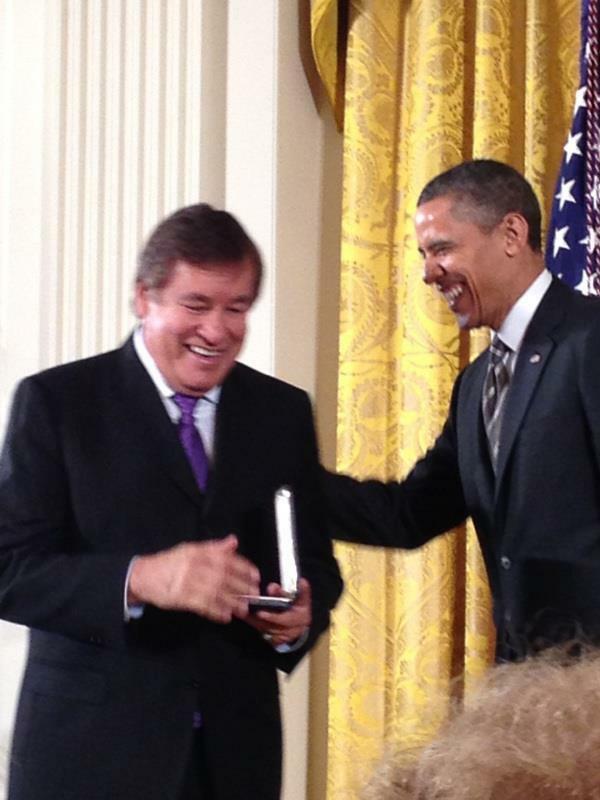 In 2013, Mills was awarded the Presidential Citizens Medal. Soon thereafter the NCAA named a room after him in their headquarters - an honor reserved for only the very elite coaches and athletes. This month he will receive the highest award the NCAA gives, the Theodore Roosevelt Award. “It made it an incredibly humbling 2013 and beginning of 2014 for me,” said Mills. “All I was trying to do was take Native American cultures and values, extract out the virtues and the values that empower our culture, our tradition, our spirituality and transfer them to at first, my educational pursuit, and then an Olympic pursuit and then finally into a perpetual giveaway, a traditional giveaway,” said Mills. “To have this national recognition, it’s overwhelming. I humbly tried to honor myself, so I could honor my tribe and by honoring my tribal nation, I brought honor to America,” added Mills.